Recently, Google announced the new Google Ads Editor, version 1, which replaces the old AdWords Editor. Along with a name change, there are quite a few new features and capabilities that address long-standing requests from the Google Ads community. The newly renamed and redesigned Ads Editor significantly increases productivity for anyone with a Google Ads account. What is Google Ads Editor? The new Google Ads Editor is a free application that allows you to manage and edit your Google Ads campaigns offline. You can make changes offline and then upload the changes to the Google Ads web interface once you get online. Anyone with one or more Google Ads account can use the Google Ads Editor, but it’s especially useful for multiple accounts with lots of campaigns, keywords, and ads. The bulk editing tools make it easy for campaign managers to update campaigns, keywords, copy, and settings to multiple accounts at once. You can save changes in draft mode, making it easy to share and approve changes before making them official. Google Ads Editor is basically a supplemental application that works alongside your regular Google Ads account so you can make offline changes and bulk edits easily. After you’ve made changes in Google Ads Editor, make sure you download your recent changes to your Google Ads account to make sure you’re working with the most up-to-date information. If you have any questions about Google Ads Editor, visit the Google Ads Editor help center or contact VitalStorm. Attribution reports track the customer path from first awareness to completed conversion across different devices. For instance, if a user clicked on an ad on her phone, but then completed the purchase on her laptop, this cross-device activity would get included in all attribution reports. According to Google, starting on May 1, “all attribution reports will include cross-device activity and conversions.” All conversion metrics (Conversion Total, Last Click Conversions, etc.) in Google Ads will include cross-device activity. Data from these reports will help you understand different aspects of how people interact with your advertising on different devices. Before May 1, 2019, only the Devices, Assisting Devices, and Device Paths included cross-device activity in their calculations. This created inaccurate and inconsistent reporting. Now, all conversion metrics will include cross-device calculations. 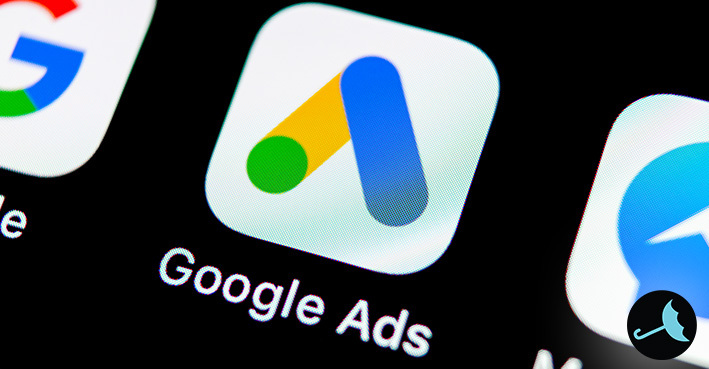 Keep in mind that the new Google Ads attribution reports will only be available from May 1, 2019 on. Any prior dates will use the old reporting and conversion calculation. See the full list of metrics that will be calculated differently beginning on May 1, 2019. If you have multiple Google Ads accounts, you know how time-consuming it can be to make campaign changes across different accounts, such as keywords and exclusions. Before the updated Editor, account managers could only make changes in the Editor UI for single accounts. Now, the new Ads Editor allows full, cross-account management, enabling marketers to roll out changes to multiple accounts at the same time. If you want to add the same keywords or settings across different accounts, you can do that easily. Simply select the multiple accounts you want to edit. The new Editor interface and search function also makes changes more intuitive, giving users the ability to find and execute what they need faster than ever before. Google Ads Editor 1.0 moved the editing panel from the bottom to the right-hand side. The new right-hand edit panel gives users the ability to scan settings and provides a search function for quick discovery. Visual clutter was reduced for enhanced UX and productivity. Additionally, the top navigation is smaller and right-justified. Google Ads Editor now allows non-skippable, in-stream video campaigns, ads, and ad groups. Learn more about Google’s video ad formats. With Google Ads Editor, you can keep working even if you’re offline. Keep in mind that you will need to regularly click on “Get recent changes” to make sure your local copy of Google Ads is the most current version. There are no responsive search ads in a Search Network campaign’s ad group (when that ad group already contains at least one enabled expanded text ad). A video campaign (that isn’t a TrueView for action campaign) isn’t targeting Google video partners. A video discovery ad group is targeting a keyword or topic. A TrueView campaign is only targeting YouTube search but only has TrueView in-stream video ads. A video campaign has a start and end date, but is using an average daily budget. Learn how to use custom rules. You can upgrade your accounts to the new rules by downloading the latest version of Google Ads Editor. We recommend conducting a PPC audit of your accounts by navigating to “Custom rules,” where you’ll be able to see how many best practices you are violating. The new Ads Editor allows you to group accounts together so you can see all of the cross-account issues on one page. Combined with campaign details found under Reports > Predefined reports (dimensions) > Basic > Ad Group Details, you can easily uncover potential issues with your accounts to improve performance. Now, when you review your responsive search ads (RSAs) in Google Ads Editor, you have access to an “Ad strength” column, which gives your ad a quality rating as well as suggestions for improvement. As of this writing, this feature is only available in English. A TrueView for action campaign is a video campaign subtype that allows you to add headline text overlays and prominent CTAs (calls-to-action) to your video ads. The CTAs get linked to a website or landing page of your choice. The new Ads Editor now supports the Maximize conversions bidding strategy for display, Smart Display, and TrueView for action campaigns. Additionally, you can create bumper ads and edit TrueView in-stream edits in the app. App campaigns allow you to promote your app across Google properties, including YouTube, Search, Google Play, and the Google Display Network. Use bulk editing tools to make cross-account changes. Quickly view settings and statistics for all campaigns or campaign groups. Manage, edit, and view multiple accounts at once. Search and replace text across campaigns and ad groups. Easily copy or move items between ad groups and campaigns. Get full support for non-skippable video ads. Maximize conversions for TrueView for action campaigns. Maximize conversions for display campaigns. Make and share changes in draft mode before uploading them to your Ads account. Continue making edits and changes even when you’re offline. VitalStorm monitors and updates Google Ads accounts for our clients every day based on performance trends, ad spend, demographics, and other data. Learn more about our approach to PPC for Home Services. For all the latest digital marketing news, follow VitalStorm on Facebook, Instagram, and Twitter.